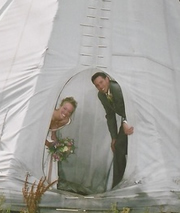 Find everything you need to plan you wedding in Steamboat Springs. Located in northern Colorado, in the Yampa Valley, the town of Steamboat has everything you need to plan and host your destination wedding in a quaint mountain town. Whether you choose a wedding venue in the town of Steamboat, at the ski resort, or at one of the many surrounding ranches, Colorado brides and grooms will find a mountain wedding venue to suit their tastes and budget. 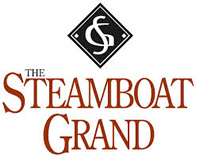 Whether it’s the wedding of your dreams, a cozy and intimate ceremony, or rehearsal dinner, the Steamboat Grand hotel is the perfect place for your special wedding event. We can host as many as 850 guests, or as few as 25 and provide an outdoor affair in the splendor of the Rocky Mountains, or an indoor function in an elegant banquet facility. A destination wedding at the Bella Vista Estate is a truly unique, unforgettable wedding experience. Imagine the Colorado Rocky Mountains as the backdrop for your wedding! The crisp, clean air, the wonderful sounds of nature, and the majestic peaks of Steamboat Springs provide for an incredible wedding experience. At Catamount, choose from a variety of stunning wedding and reception venues where each season provides a truly unique experience. The breathtaking beauty of the private 530-acre Catamount Lake offers a piece of unspoiled Colorado with expansive views of distant mountain peaks. Located here in the state of married bliss lies Steamboat. A haven. A paradise. Basically heaven on earth. So what better place for you and the one you love to join together for one of the most cherished days of your life. Here at Steamboat, it would be our pleasure to host your wedding and reception. With amazing venues to suit your style, spectacular views and world-class food and service, your day will be the one you’ve always dreamed of. Welcome to our premier wedding venue in Colorado, the Sheraton Steamboat Resort. Let us take care of you and your guests, as you experience all Steamboat has to offer. Make lifetime memories with a day at The Rocky Mountain Day Spa or a round of golf at Rollingstone Ranch golf course. The Midnight Ranch is the perfect setting for your unforgettable mountain wedding! The Bride and Groom, wedding party, family and friends may choose from our vacation homes, that can accommodate approximately 32 guests. Other lodging is available close by. Our ceremony and reception site can accommodate 200+ guests. There is plenty of room to put up tents and still enjoy the beauty of our 105-acre high mountain setting. So turn up the music… it’s time to party all night long! From all of us here at Elk River Guest Ranch, we would like to extend a warm welcome to you and your guests. We pride ourselves on going the extra mile to make sure that you’re special day is perfect and personalized, from beginning to end. We want you to have the day YOU want to have, because your wedding really should be all about you!